Jon, Paul and I arrive in Chiang Mai via bus and take a tuktuk to our hostel, Aoi Garden, where the owner Aoi, a nice Thai lady with well spoken English greets us warmly. 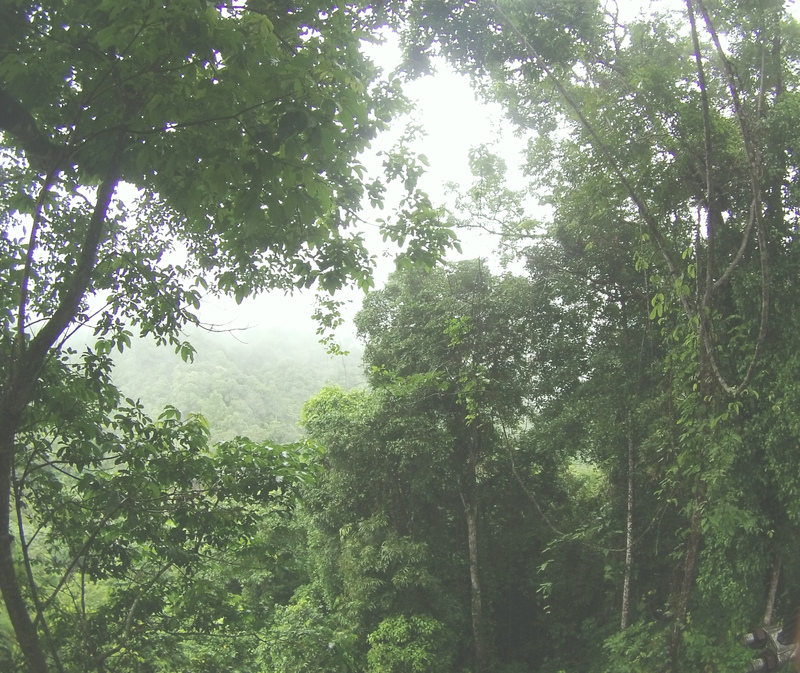 The accommodations here are very affordable (think $7CAD/day or something), but basic. Rooms only have 4 beds which is nice but are fan cooled. Everything is quite open , which means exposure to the elements as well as its little critters. In fact, one day we woke up to a huge rain storm and they had to spray the place down for critters (namely roaches) that seek shelter in buildings during rain. Needless to say, it was not a pretty picture. Nonetheless, the staff are immensely friendly and helpful. Plus they make a mean cuppa joe at the coffee shop/bar onsite. 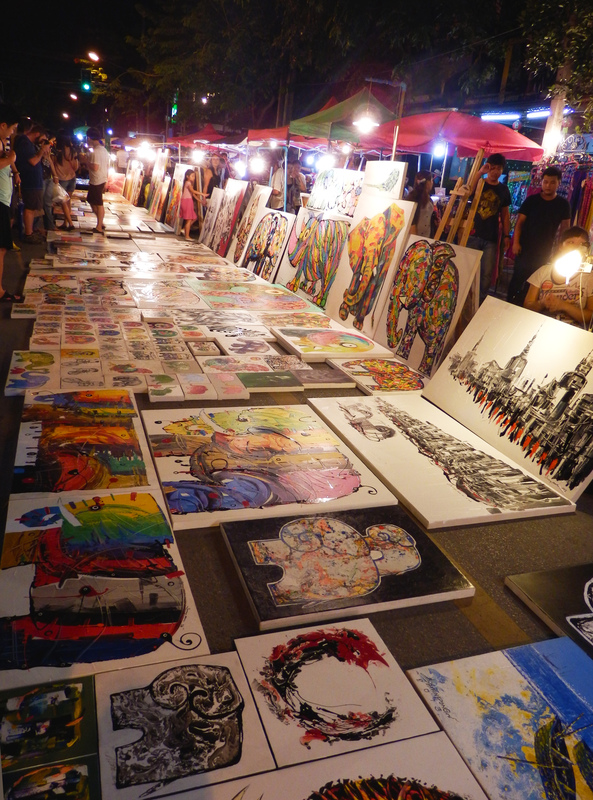 Paintings being sold in the Sunday Market. Tons of great food and the artwork isn’t all too bad. 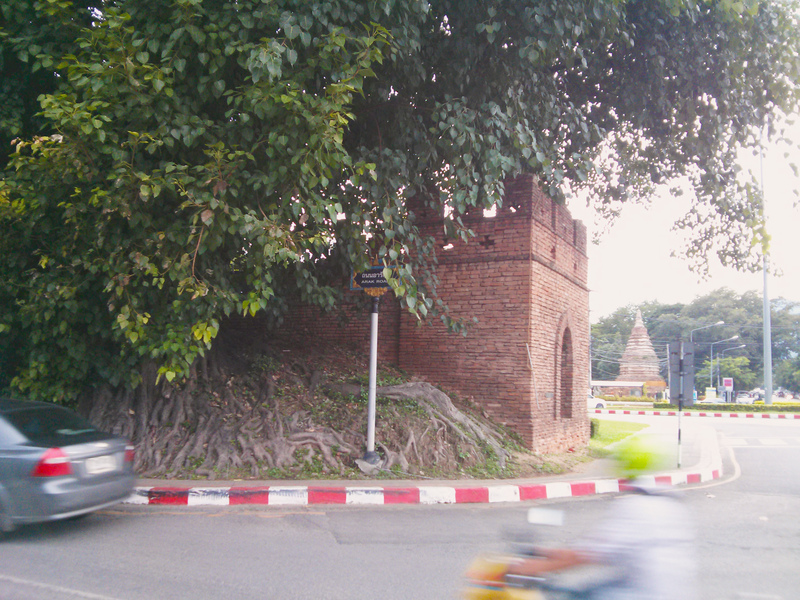 Aoi Garden is within the old city walls of Chiang Mai, literally a perfect square when viewed on a map. On one occasion I did a 45 minute run around the perimeter of the wall. 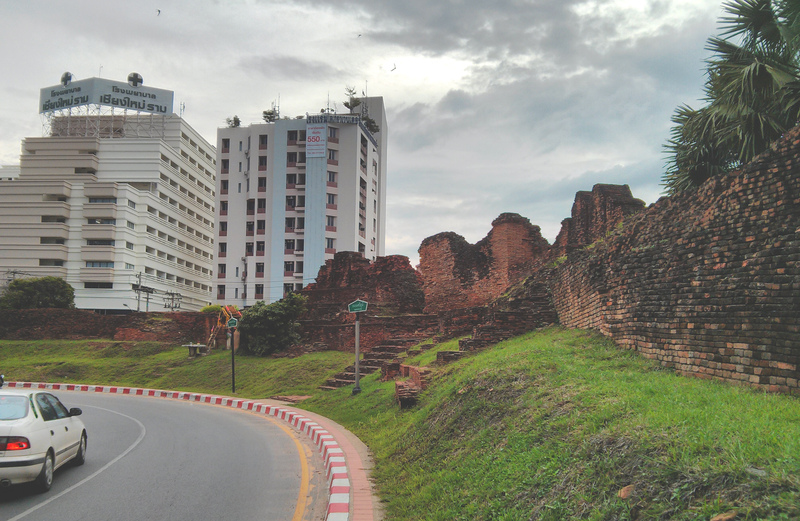 There you can find remnants of the wall ranging from piles of worn down bricks to still standing gates where you’d enter and leave the old city. being the old part of town, many of the temples of note are within the square, although it is also home to residences and restaurants. If you fancy yourself a fitness person, a run around the wall is a great way to orient yourself and your new surroundings. Remnants of the city wall. This part s in disrepair and whats mostly left is just rubble. We rented scooters for the next few days (you all know this is my favourite mode of transportation) and explored the city at our own pace. 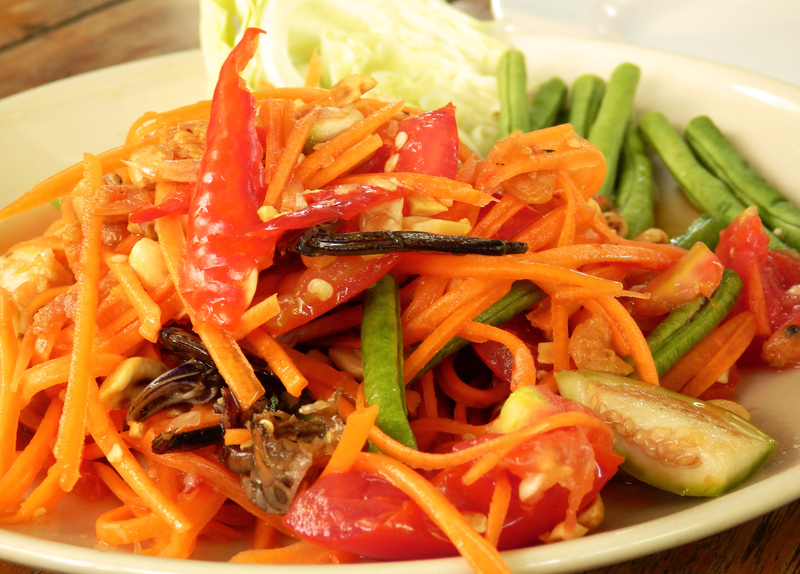 Regarding the food, CM is a pretty modern city, being the most populous in Thailand after Bangkok. 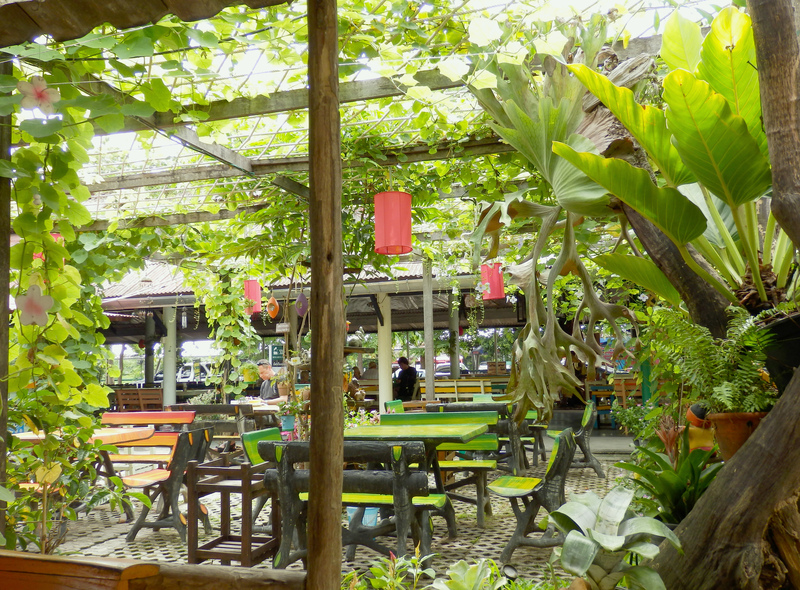 This means that in addition to the more traditional Thai dishes, you won’t have problems finding a nice, cozy, yet modern coffee shop to enjoy brunch and a great cup of coffee. 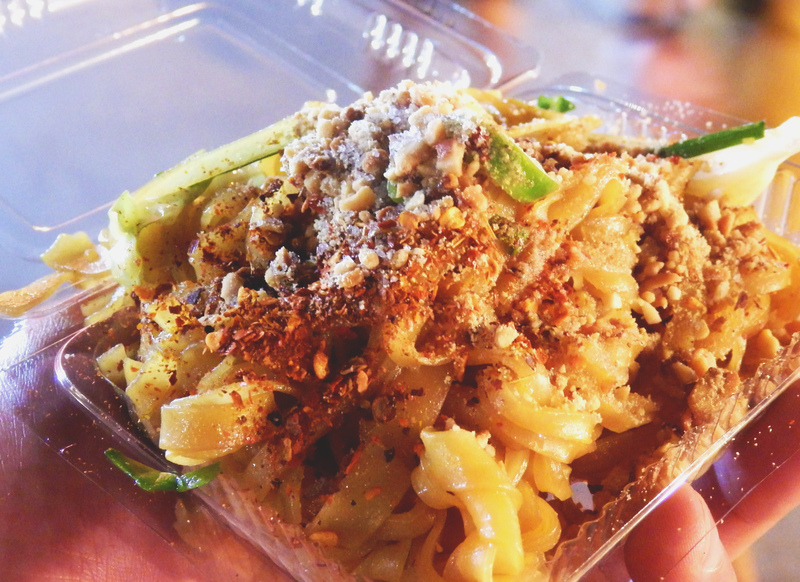 The Sunday market is a great place to start for food. Albeit very touristy, I can’t deny that I stuffed food in my face well past the point of modesty. Being a big city also means lots of expats. This means you’ll never be too far from a British/Irish style pub serving bangers and mash alongside a Guiness. It all makes for a good time if you have the right attitude. I mean, yes it can be quite western, but it never hurts to have options. 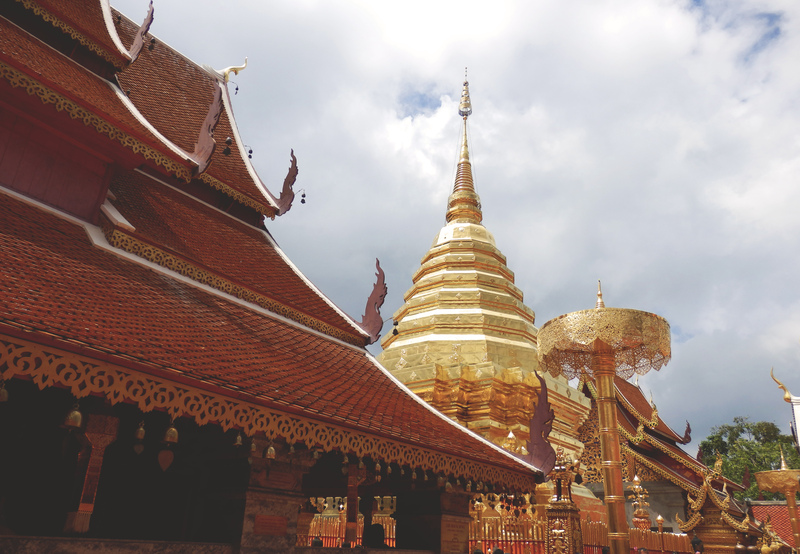 One of the temples I wanted to check out was the mountain top temple of Doi Suthep. This is the resting place of the fabled jade Buddha that was covered in clay to disguise its value, smuggled out during war times and then returned to CM. 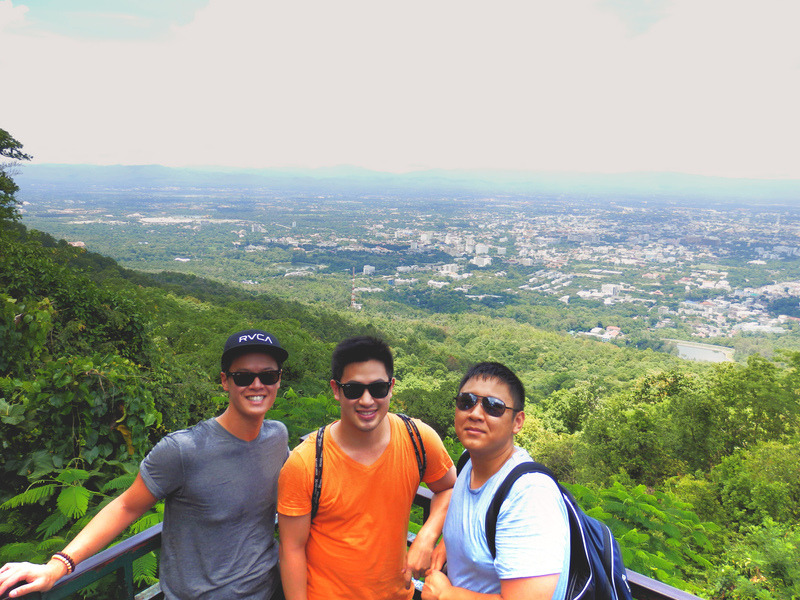 The ride up the hill is great fun, offering great panoramic views of the city. 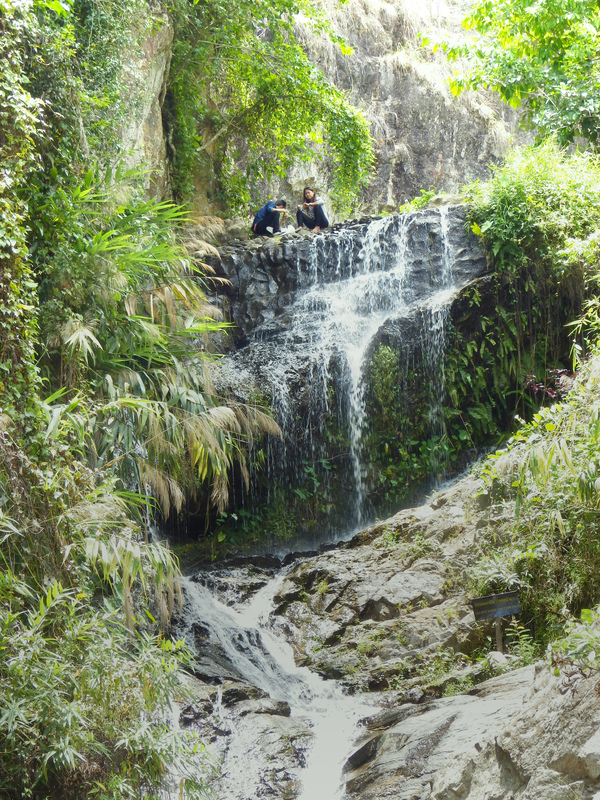 If you can bear the heat, bring a small picnic to enjoy by the little waterfall right before the final ascent up to the temple grounds. Going to Doi Suthep (and most other Thai temples of note), you really have to be prepared for a crowd. At this point it didn’t even phase me anymore. The usual army of snack and drink vendors lined the entrance and walkway, but it didn’t take away from the immense beauty and intricacy of the temple grounds. 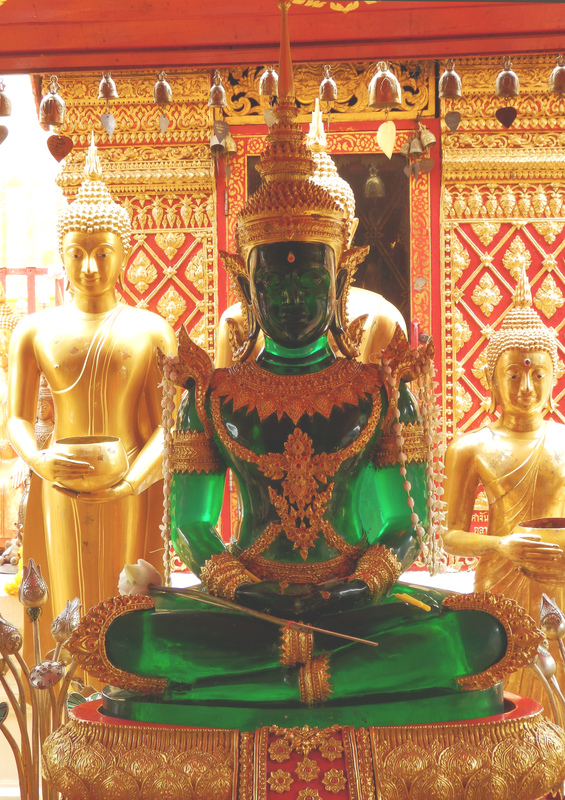 Everything seemed to be guilded in gold, and many of the patrons still offered monetary offerings and prayed to the jade figure of their Buddha. If you have an afternoon here its worth a visit, if not for the sweet scooter ride at least! 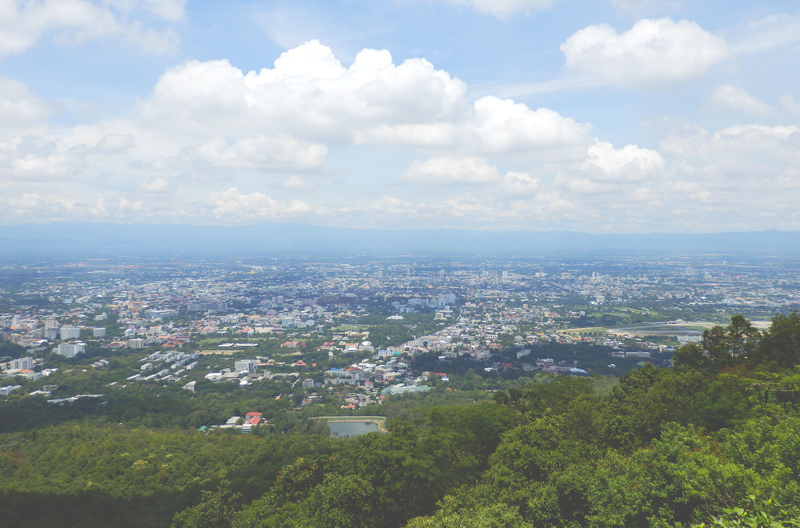 View of Chiang Mai on the ride up to Doi Suthep. 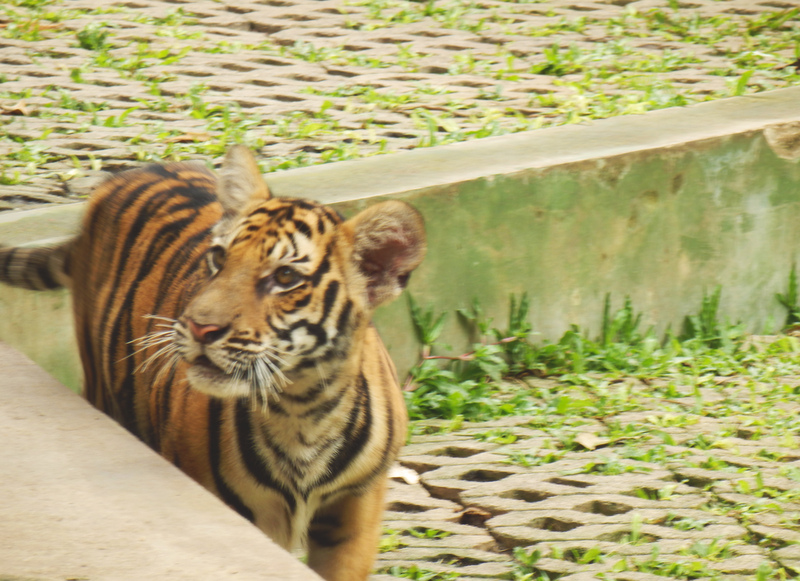 On our last day, we heard of a place called Tiger Temple, where we could interact with tigers. Now who could turn down an opportunity like that?! I was a bit skeptical about how ethical this place was. 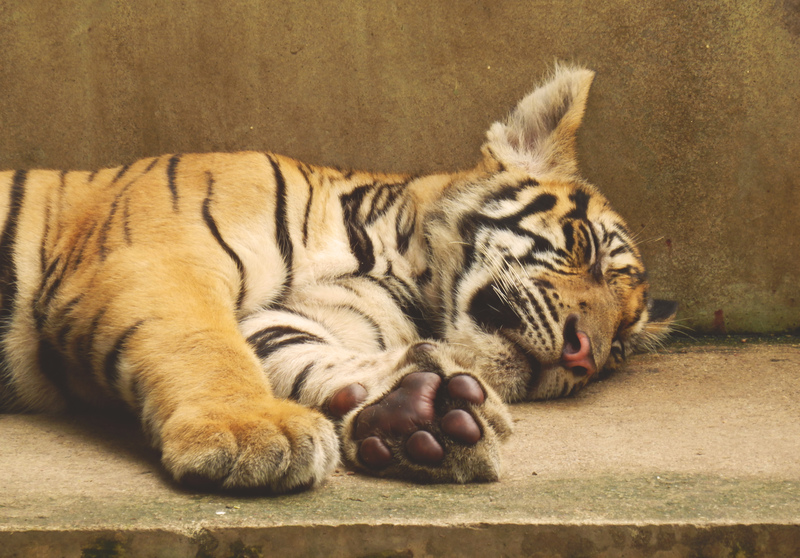 I researched this one particular place and they assured that their tigers were not drugged, but fed and exercised to calm them enough to interact with visitors. I’m not sure if I would do it today, but at the time, we simply could not resist getting up close to one of these beautiful animals. It was a 45 minute scooter ride to get to the Tiger Temple so make sure you have GPS service or a great map. I thoroughly enjoyed this experience! My fascination and appreciation for the tigers there is something that will stick with me forever. 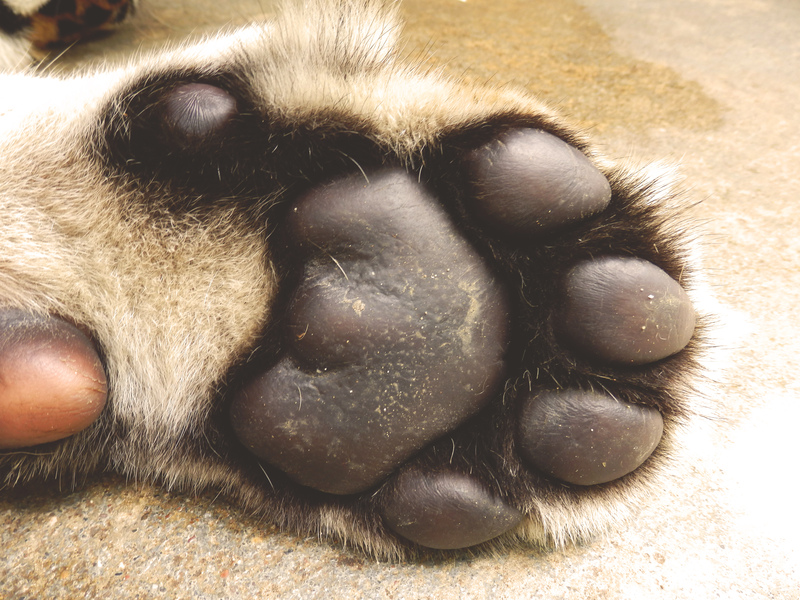 Huge as adult tiger paw. CM is a big city, with a mix of locals, expats and tourists. Its a mix that you can’t get away from, but it also gives the city a very friendly, disarming vibe. People here don’t seem to be hardened by tourism like some people in Bangkok might be. Instead, everyone smiles and offers to help you find your way, or have small talk. I was looking forward to coming to CM and it sure didn’t disappoint. Make sure to check this place out! Although I would never have the guts to scooter in Bangkok, CM was quite manageable. there are 2 lanes of traffic that run around the old city perimeter (that big ol’ square on the map): clockwise and counter-clockwise. There are designated areas where you can change directions so just look for the signs. 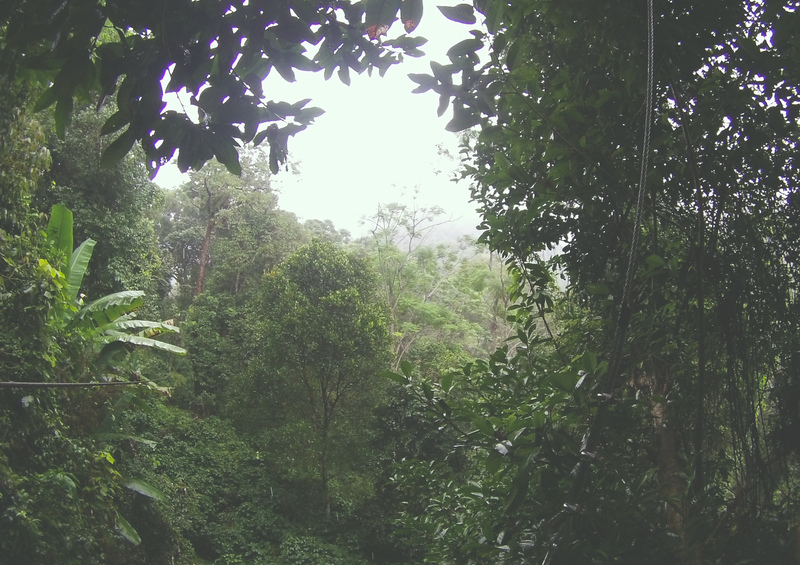 View of the jungles of Chiang Mai while zip lining!